Zeus, a pitbull, has become a four-legged hero credited with saving a family of four after a house fire started in New Jersey Monday. Jeremy Brown rescued Zeus from an animal shelter. Last week, the pit bull returned the favor. The four-legged hero is credited with saving his family from a house fire in New Jersey. It all started in the early hours of July 16. Brown, 22, and his family were sleeping after throwing a birthday party for his 2-year-old nephew. Brown was sleeping on the second floor of the family's Beachwood home when Zeus started barking. "He was just going crazy and eventually I woke up," he said. When Brown opened his bedroom door he saw smoke coming from the guest bedroom across the hall. Realizing the house was on fire, he quickly alerted his girlfriend and his parents. Zeus, who is about 5 years old, managed to alert his human family of the blaze before the smoke detectors went off. Thanks to Zeus’ quick thinking, all four adults, two cats and another pet dog living in the house managed to escape safely. Zeus’ heroic act is even more incredible since the pooch had a pre-existing leg injury — a torn ACL — for which he is still awaiting treatment. 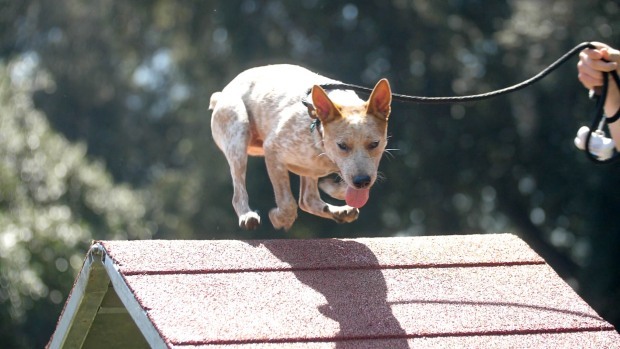 "The fact that he jumped off my bed, he really pushed himself," Brown said, explaining that Zeus went out of his way to make sure the family was alerted even though he was suffering an injury that made jumping not an easy task. 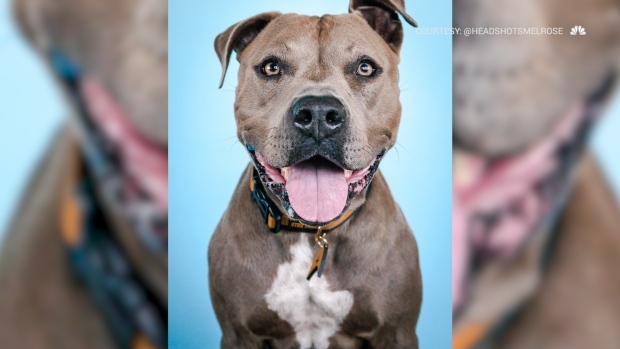 Because of the fire, Brown, who was saving up for Zeus' surgery, is now unsure when Zeus will be able to get the necessary procedure, which brings with it medical costs in the thousands of dollars. According to Beachwood Fire Chief Roger Hull, the town’s volunteer fire department received a call reporting a house fire at around 2 a.m. When firefighters arrived, they found smoke coming from the front of the two-and-a-half story wood frame house. It took firefighters about 20 minutes to extinguish the fire which was in a second floor bedroom at the front of the house. Brown and Zeus visited the Beachwood Volunteer Fire Department Monday night to thank them and the Pine Beach Fire Department for holding the fire to just one room and for the job well done. The cause of the blaze is still under investigation although a working theory is that an extension cord used to power a portable air conditioning unit may be to blame. While Brown and his family will have to live elsewhere for about 6 to 8 months while the family's home is repaired from the water and fire damage it sustained, Brown says he is lucky to have Zeus and hopes his story leads to society thinking differently about pit bulls. "It just seems that some people are scared of these animals and call them bred killers, but that's not really true," he said, adding that it is not fair how they are sometimes treated. "They are saviors, protectors more than anything," he said. "They are companion dogs and very loyal....Zeus is the greatest dog to me."